ATLANTA, April 8, 2019 –Cotiviti, a leader in data-driven healthcare solutions, will host the 2019 Cotiviti Client Conference (CCC19) April 10–12, 2019 in Naples, Florida, bringing together some of the largest payer organizations in the United States and other healthcare stakeholders to discuss news ways to improve clinical and financial performance. The three-day conference will focus on transforming the economics of healthcare and helping healthcare payers perform more efficiently, with less waste and better quality outcomes for their members. 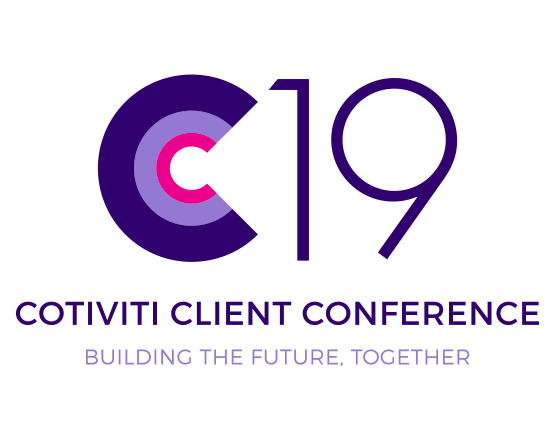 Cotiviti president, chief executive officer, and board chairman Emad Rizk, M.D., will open CCC19 with a keynote introducing the new Cotiviti and sharing how the company combines data fluency, dimensional insights, and performance excellence to help healthcare organizations meet their goals. Dr. Rizk will also explore how healthcare innovation has been influenced by the latest trends in regulatory and structural design. Other event keynotes include Len M. Nichols, Ph.D., Director, Center for Health Policy Research and Ethics (CHPRE), who will share his perspectives on demystifying healthcare in today’s political landscape and Joseph F. Coughlin, Ph.D., Founder and Director, MIT AgeLab, who will discuss the concept of envisioning a new future for old age in the longevity economy, providing the framing and insight business leaders need to serve the growing older market. The event will close with a keynote by Vinh Giang, magician, entrepreneur, and motivational speaker, who will focus on the importance of perspective and collaboration in strategic decision-making. CCC19 will introduce clients to the new Cotiviti, a company forged from two industry leaders—Cotiviti Holdings and Verscend Technologies—in August 2018. The event will offer deep-dive product workshops and demonstrations, best practices and case studies from industry thought leaders, and valuable networking events. Industry visionaries will gather to discuss top-of-mind issues for payer organizations, self-funded employers, benefit brokers, and providers. Cotiviti is a leading solutions and analytics company that is reshaping the economics of healthcare, helping its clients uncover new opportunities to unlock value. Cotiviti’s solutions are a critical foundation for healthcare payers in their mission to lower healthcare costs and improve quality through higher performing Payment Accuracy, Quality and Performance, Risk Adjustment, and Network Performance Management programs. The company also supports the retail and life/legal industries with data management and recovery audit services that improve business outcomes. For more information, visit www.cotiviti.com.